- Who is this app for? > You are a weekend reader who loves to read long articles but doesn't have enough time. > You are a busy professional who has no time to read but needs to be on top of the latest in tech, business, politics or anything else. > You hate reading but like podcasts. > You are busy parent and have no time to read all the good stuff out there but you really want to/need to. If you identify with any one of the above, you will want this app! 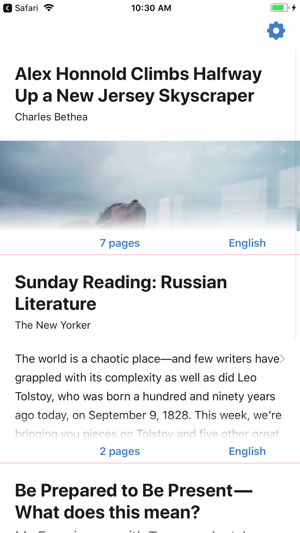 Imagine its the weekend and you have a bunch of long reads lined up. Wired, The New Yorker, The Atlantic, Medium and so on... There are many interesting articles to read but they are too long and you don't have enough time for dedicated reading. What do you do? You purchase Readaway! 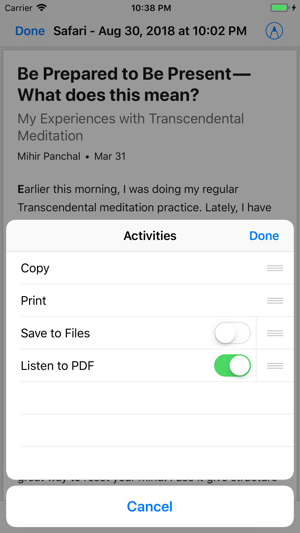 Using webpages compatible with Safari's reader mode, this app converts articles into natural-sounding audio that you can listen to, anywhere you go. 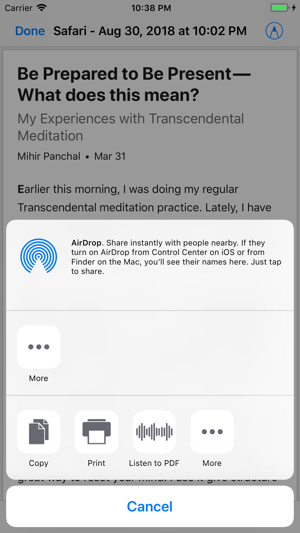 Essentially, create your own podcast out of your favorite reads. We have experimented with the right quality of audio to make sure its easy on your ears. We think you will love it!! If you have any comments or requests, please let us know and will consider them! Note: The initial purchase will let you convert 50 pages of text into speech. An average page is assumed to have 250 words and each average word is assumed to have 5 characters. Minor bug fixes and optimizing file storage. 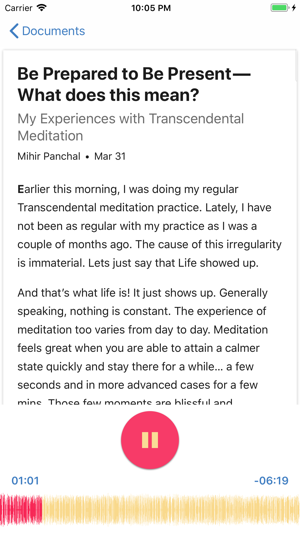 I do use voicedream but I want to like this APP as I like the interface. Give people a few pages for free before they buy. I have no regrets giving you $3.99 but might be a turn off to others. Improve the audio control. It needs to at least remember where you left off if you leave the APP and return. More voice options. The voice is okay but I know there is better out there. No ability to share or save the audio. 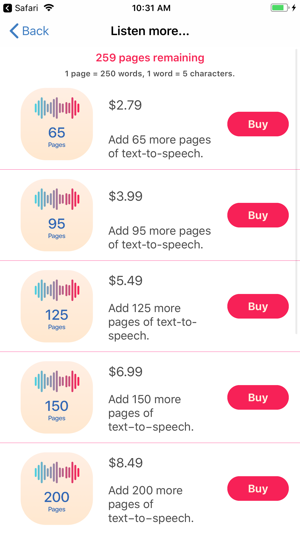 No incentive to give you $9.99 when 5 x $1.99 gets me the same number of pages. Thank you for this wonderful feedback. We are going to release a huge update in the coming months that caters to most of this feedback. We would like you to invite you for a beta test (soon to take place). If interested, please drop your email on the support form (link can be found in the app’s listing on the App Store).